LITTLE ISLAND CoverKatharine has a Master’s degree in Creative Writing from Dartmouth College and a Master’s in Education from the University of Vermont. Her first novel, HER SISTER’S SHADOW, was published in 2011 by Berkley Books (Penguin, USA). 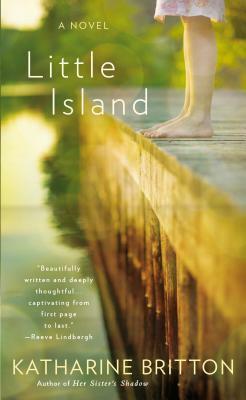 Her second novel, LITTLE ISLAND, is scheduled for publication in the fall of 2013 from the same publisher. Her screenplay, “Goodbye Don’t Mean Gone,” was a Moondance Film Festival winner and a finalist in the New England Women in Film and Television contest. Katharine is a member of the League of Vermont Writers and New Hampshire Writer’s Project. She has taught writing at Colby-Sawyer College, ILEAD, and at The Writer’s Center in White River Junction.